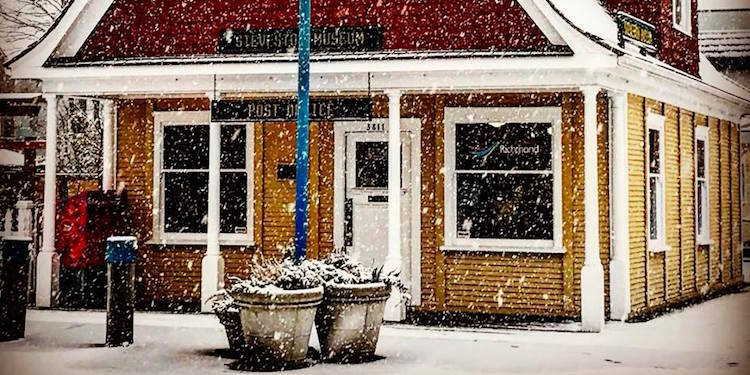 Steveston Museum is one of the destinations in the first annual Winter in the Village in Steveston Nov. 20 to Dec. 31. It's beginning to look a lot like Christmas in Steveston. With the first annual Winter in the Village on through Dec. 31, Richmond's waterfront village has become a winter destination for locals and visitors alike. There are more than 20 free or low-cost family events sure to bring a smile and warm your heart. Celebrate the season by checking out the light displays in the old buildings and the bustling Heritage Christmas Craft Fair, as well as a pair of must-see concerts in December. Don't miss Lights in the Park illuminations and regular Songs in the Snow carol concerts. The Steveston Interurban Tram will present a special winter tram event with kid-friendly crafts and refreshments, along with a three-night carollng series located outside the tram. A sparkling Festival of Trees and the ever-popular Cannery Farmers Market--an ideal place for gift shopping--make this a can't miss stop on your tour through the village. From a classic car display to Santa's official arrival by boat, or a special night out shopping event, Steveston's Winter in the Village is the place to be this festive season.